I always enjoy opening up a tin of Upper Deck. I love the format that these cards come in! The tin definitely makes the experience more fun and unique. In the past, collector have asked me to open up more of these in my Retail Reviews. I've done my best to try to get a hold of as many of these as I can. They are not found in my part of the country at all, so it can be a challenge! I've had this tin sitting around for a while now, and I guess it's because it's a 12/13 product. Often times when I see a 12/13 product I groan a bit on the inside. That was the year that the season was cut in half by the lock out. Hockey products took a huge hit that year and many great sets were not released. Rookies were hampered the most in 12/13 as they are what usually drive a product. With no excitement in that regard, 12/13 products have become a sort of afterthought. 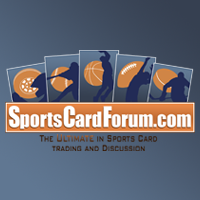 That's really too bad because 12/13 products are actually pretty well designed - like 12/13 Upper Deck for example. I think this year's base design set is one of the best in a while, and the Young Guns are perhaps one of my all-time favorites. Well, you can't change the past, but we can still open it up! This was a great little break that I really enjoyed. 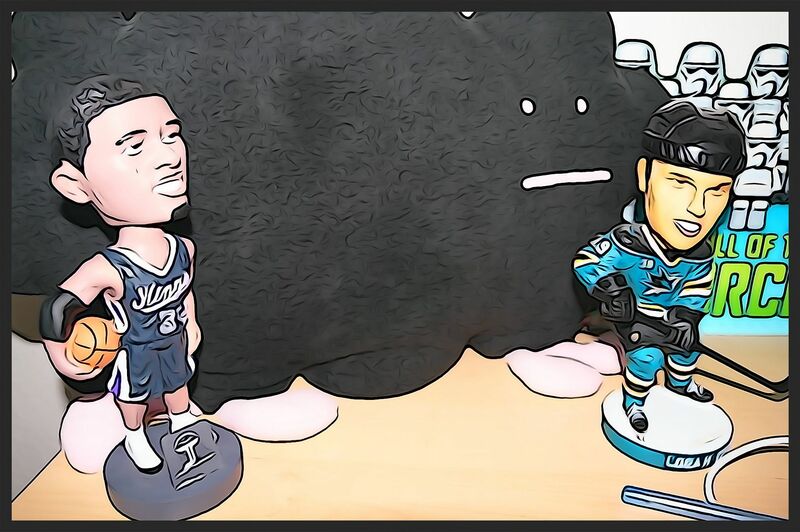 I didn't get a jersey or auto out of it, but there were enough inserts and rookies to be found inside that it really didn't matter. I think that if I were a collector just opening this product for fun I would be pretty happy. 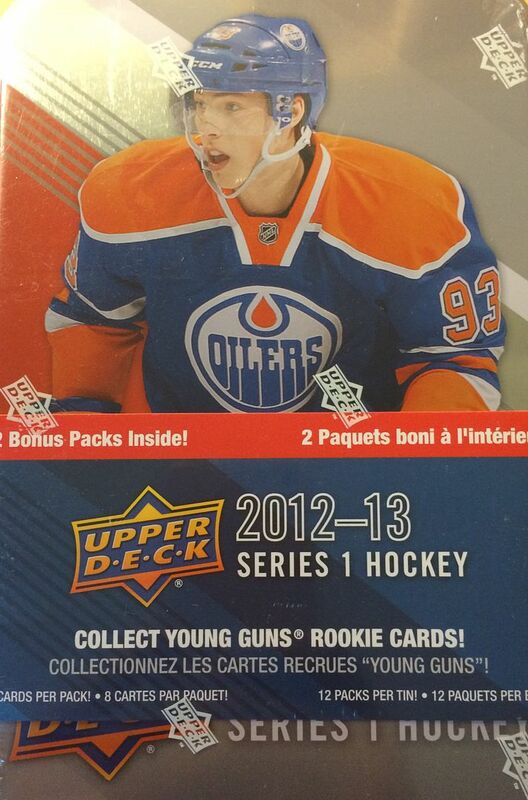 First of all, I am used to getting just two Young Gun rookie cards when I buy a standard blaster of Upper Deck. This tin spit out three! On top of that I was able to get canvas parallels, a Silver Skate insert, a Hockey Heroes card, and a couple MVP cards. It was a pretty nice haul! So none of the rookies will really stand out too much for me, but I remember liking Akim Aliu's name a lot that year. 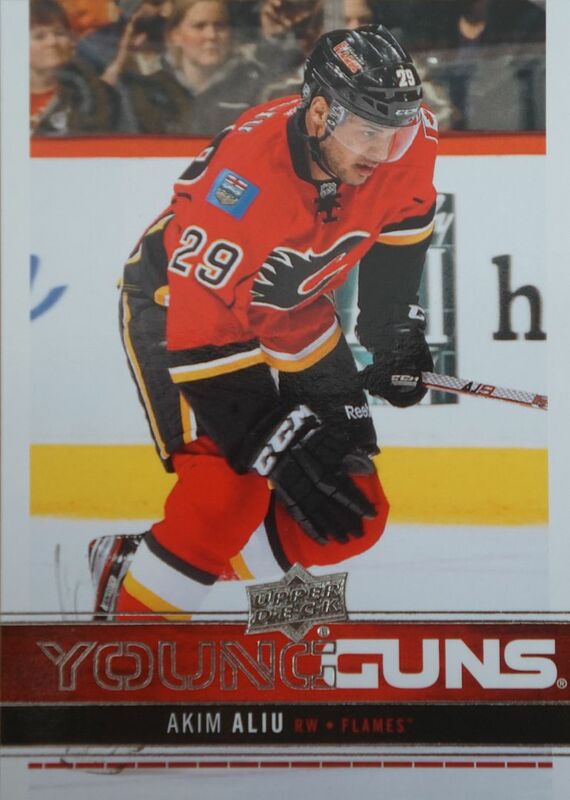 I chose his Young Gun card as my favorite of the three I pulled. 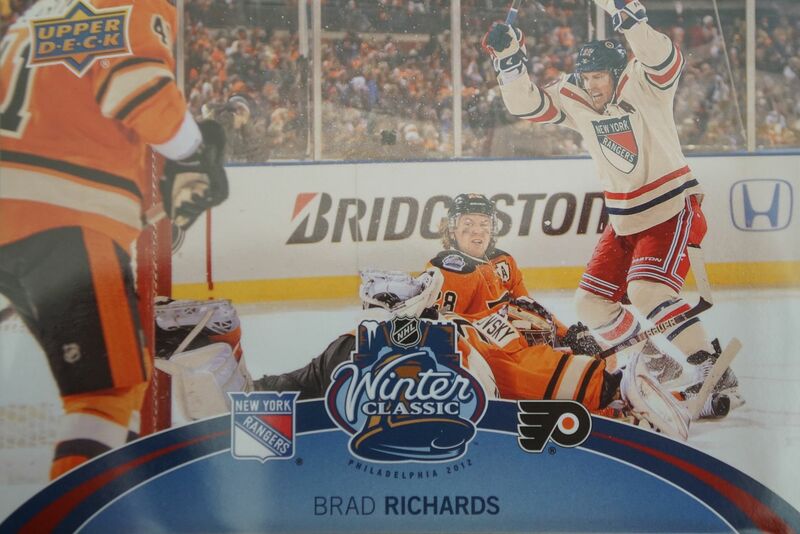 The over-sized Winter Classic card displays a very unique moment in the game. I am a big fan of how this card shows more of an overall picture of what is happening rather than just a tight shot of Richards. There's more of a story here than on your standard card. 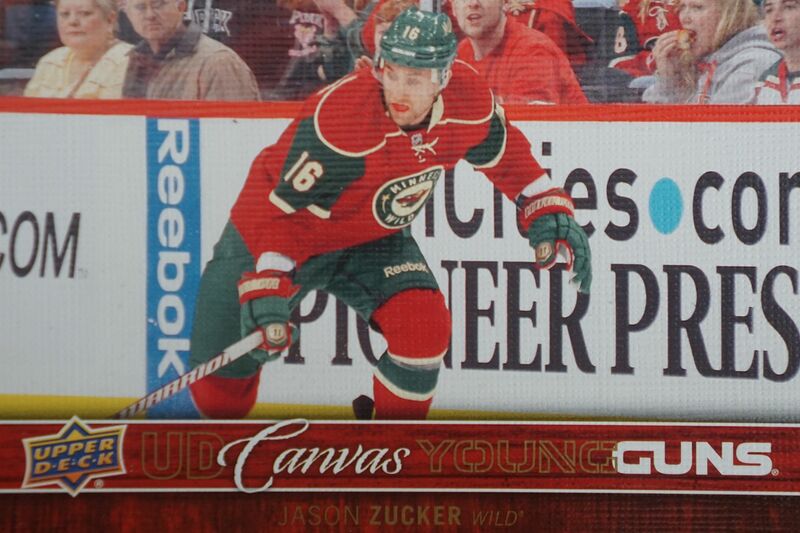 I've been wanting to pull Canvas Young Guns, but they always seem to elude me. I'm glad that I was able to get one out of this blaster. Canvas Young Guns look great and are much more difficult to find than their regular counterparts. This tin was an outstanding value at just ten dollars. I enjoyed opening the tin up very much and was impressed by the content that came out of it. 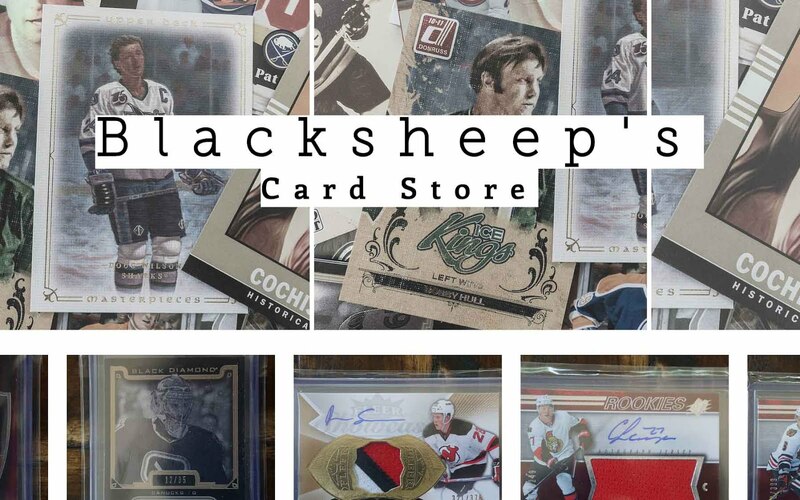 I think Upper Deck tins make a great gift or a fun distraction from the standard hockey blaster. I recommend them for purchase if you can find them near you!